The room had a great view and had great space which was perfect for us. 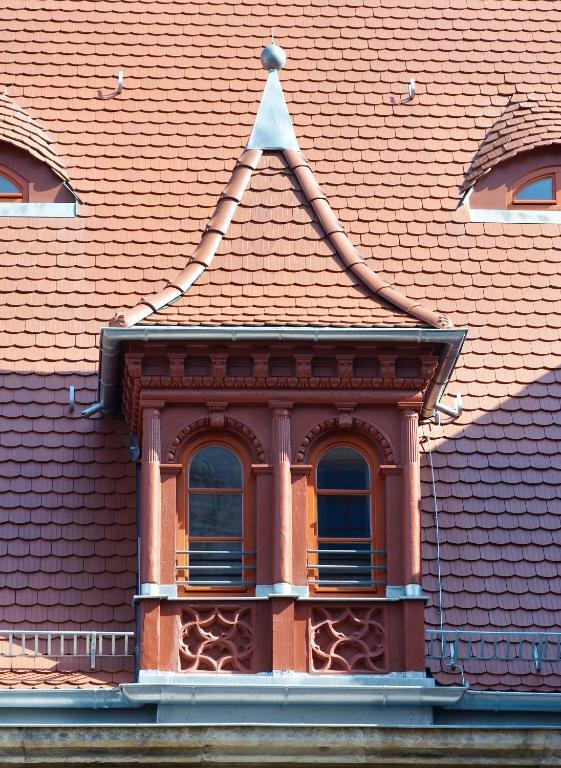 Location was within walking distance of shops, bars and restaurants in the heart of the Old Town area. Facilities were superb and extremely great value for price paid. Reception staff were very helpful and friendly. Apartment with full kitchen and bathtub; well-located. 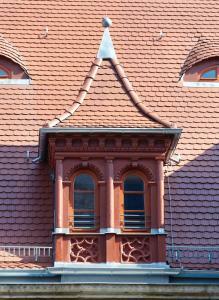 The building is lovely and the apartment was very comfortable with very good facilities. In a central location but no street noise considering how busy it can be. Very near to good bars and restaurants. Staff very friendly and helpful. Will be booking here again. Fantastic apartment for its money. 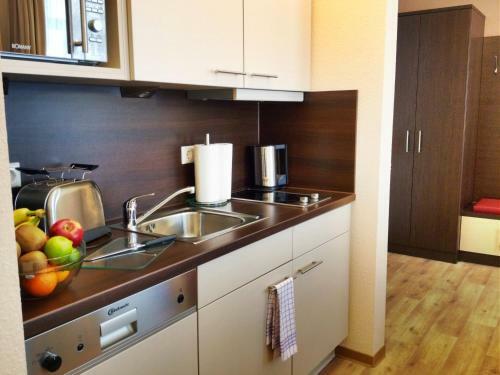 All facilities in place: coffee machine, fridge, toaster, microwave. A lot of room, large bad. Very cozy place. Couldn't recommend it more. The space , and having cooking facilities. Brilliant kitchen ware . 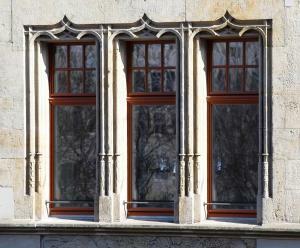 Excellent place to stay in quiet corner of Leipzig old town very close to St Thomas church and market square. Large, well-equipped living area in apartment was comfortable and the kitchen facilities were more than adequate for preparing light meals, although there are plenty of good value restaurants and cafés in close walking distance. Bathroom was clean and functional, although bedroom was a bit cramped. Very helpful staff on arrival and overall superb value for money. The receptions were very helpful and friendly. The apartment was spacious. Comfy bed and well stocked apartment with everything you would need. Water and chocolates on arrival are a nice welcome. 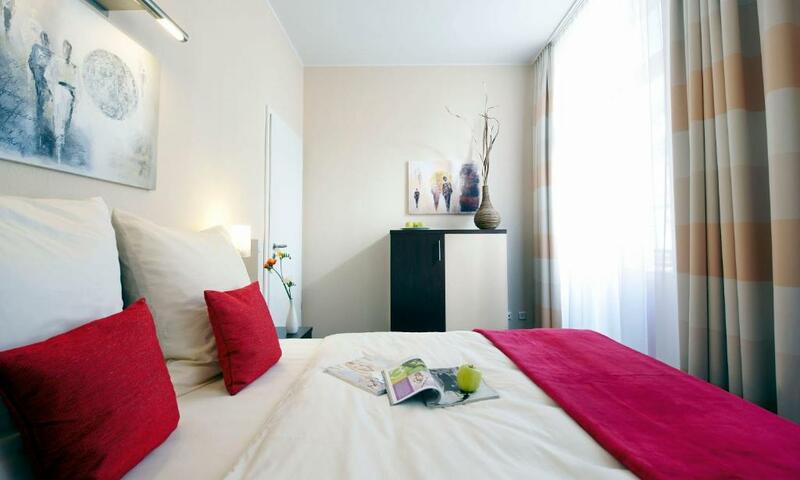 Lock in a great price for Apartmenthotel Quartier M – rated 9.2 by recent guests! Apartmenthotel Quartier M This rating is a reflection of how the property compares to the industry standard when it comes to price, facilities and services available. It's based on a self-evaluation by the property. Use this rating to help choose your stay! 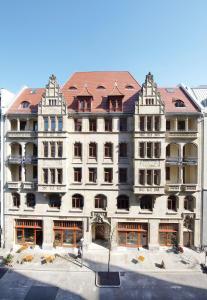 Apartmenthotel Quartier M is a self-catering accommodations located in Leipzig with free WiFi access. The property is 0.9 mi from Arena Leipzig and 4.1 mi from Leipzig Trade Fair. The apartments and double rooms are stylishly decorated and have an open floor plan. Each one features a seating and dining area, flat-screen cable TV, and a modern bathroom with hairdryer. All studios and apartments (but not the double rooms) have a fully equipped kitchen, complete with dishwasher, coffee machine and microwave. Many shops, supermarkets and restaurants are nearby. Several museums are reachable within a 10-minute walk of Apartmenthotel Quartier M, including the Museum of Natural History. Johanna City Park is 1,650 feet away. 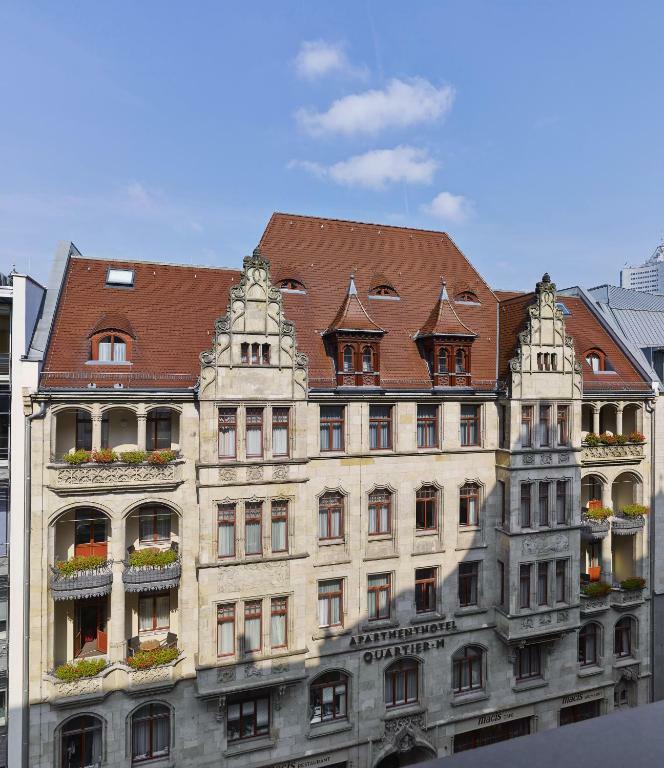 Wilhelm-Leuschner-Platz Train Station is just 650 feet from Apartmenthotel Quartier M. This offers great city train and tram connections, including direct links to Leipzig Main Station and the Leipzig Trade Fair. 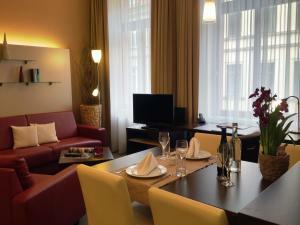 When would you like to stay at Apartmenthotel Quartier M? This stylish apartment features a seating area with flat-screen cable TV, a separate bedroom and a fully equipped kitchen. This stylish studio features a seating area with flat-screen cable TV, and a fully equipped kitchen. This stylish room features free WiFi, a flat-screen cable TV, a desk and a private bathroom. Please note there is no kitchen in the double rooms. 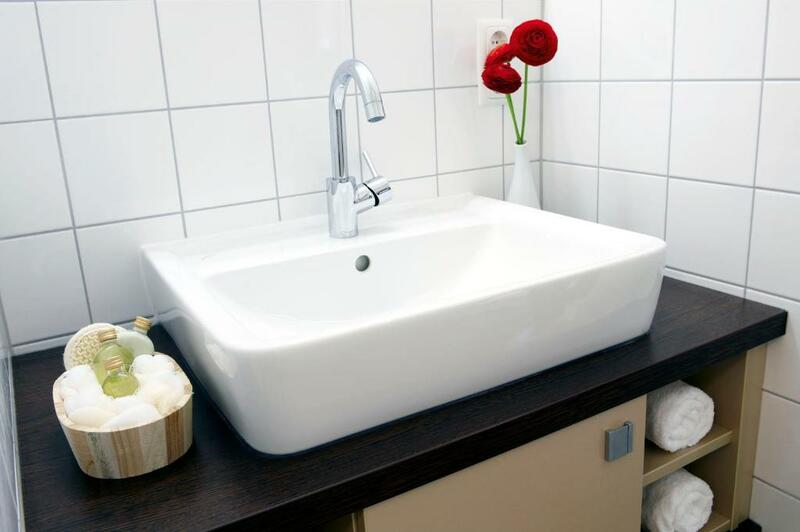 House Rules Apartmenthotel Quartier M takes special requests – add in the next step! Apartmenthotel Quartier M accepts these cards and reserves the right to temporarily hold an amount prior to arrival. Please inform Apartmenthotel Quartier M of your expected arrival time in advance. You can use the Special Requests box when booking, or contact the property directly using the contact details in your confirmation. Staff were unforgivably rude and one individual was outright hostile. Standard size double bed might be a bit small for larger customers! It would have been nice if the reception was open later at night and in weekends, though we were fine, it would not have been as nice to arrive when there was no one there. Smallish apartment for two people. 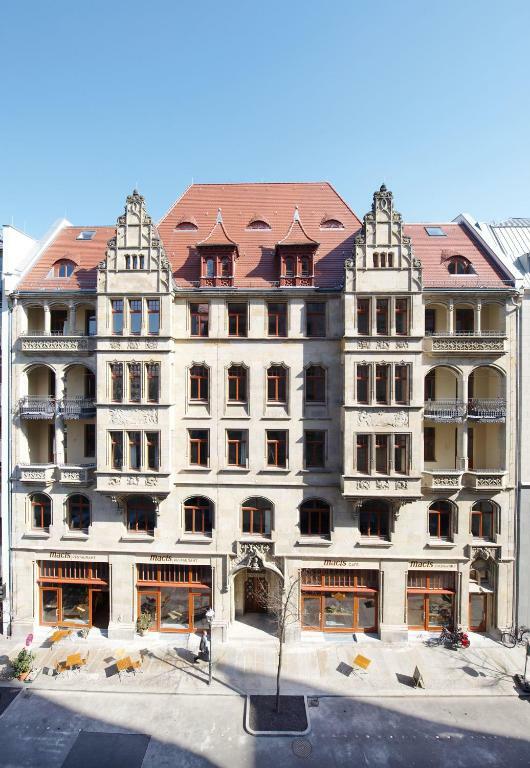 Excellent location in the inner city, just down from the Thomaskirche (where J.S. Bach was active), a short walk to most places we wanted to go, and near to public transport. Also quiet. Well appointed apartment. Great location. Nothing - it was perfect for our purposes. 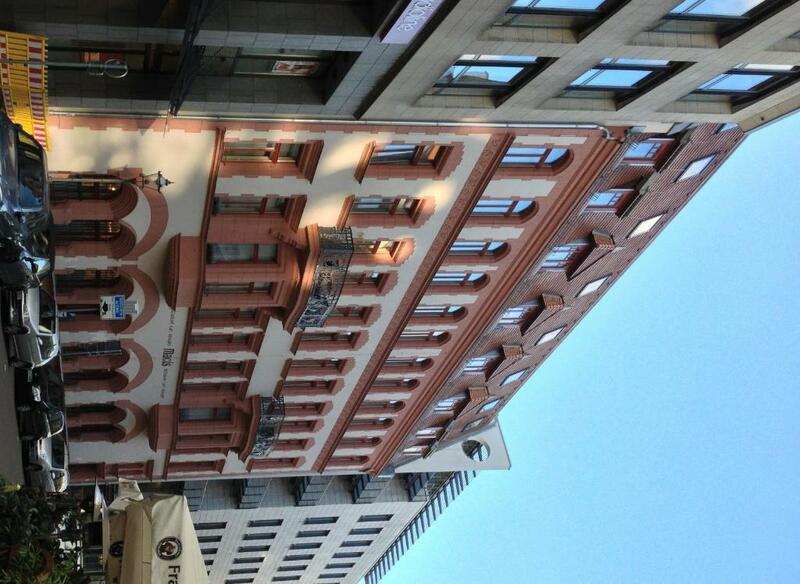 Very nice building and room and well equipped. Central location, easy access to public transport and main train station. Parking is very difficult to access or find when checking in to the unit Furniture living room is a bit dated. Very good place to get around. Would be great for a longer type stay with plenty of room. Just lacked a little in personality. 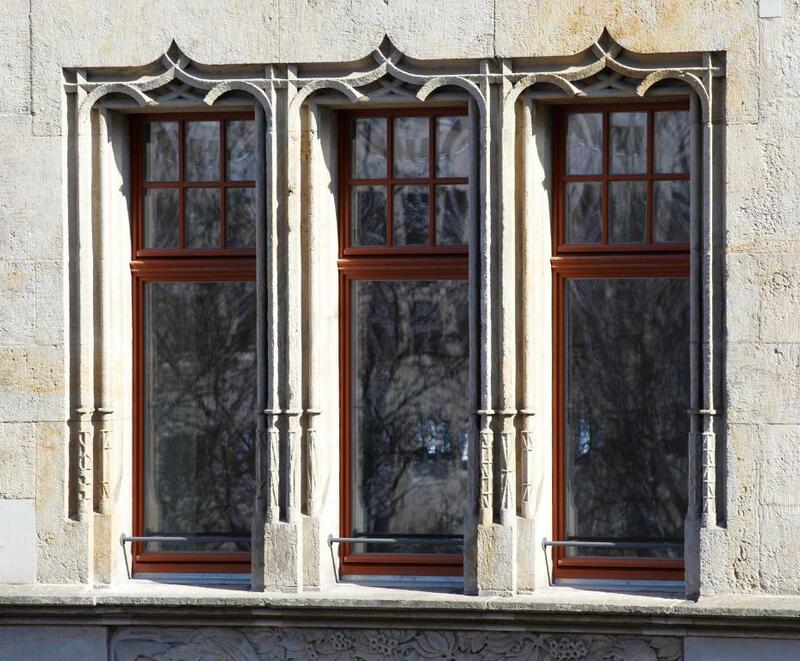 The apartment was a good size in a great location, just bordering the outskirts of Leipzig. It had everything you needed, well catered for with storage for luggage etc.